A year ago, the Alcatel OneTouch Idol 3 impressed us. With almost vanilla Android and decent innards, it gave great value for money. A year later, there are plenty of mid-range options on the market, offering great specs at similar prices. A year on, the recently rebranded Alcatel have sent us the next version, Idol 4, and we took it for a spin. It may be a shiny version, but the innards are exactly the same as that of the BlackBerry DTEK 50. Now I don’t normally talk about unboxing, but the phone came with the most innovative packaging I have seen in a while. Yes, the Alcatel Idol 4 packs in the VR in the box, but more importantly, the phone is already placed inside it when it gets shipped to you. Yeah, it takes a little longer to get your phone out, but hey, full marks to Alcatel for showing off that tiny bit. Also included is a protective transparent case as well as JBL headphones, who also provide the 4-way speakers on the phone. The phone, with the VR, sits in the sub £200 bracket at the moment. This makes it a pretty impressive package when you look at the phone. The back comes with a glass shell and the front features Gorilla Glass. There are speakers on the top, and speakers at the bottom. There are speakers at the front, and speakers a the back. The fact that you can turn the phone upside down, or front to back gets used in this case. Apart from that, you have the BOOM button which can be found on the right side, below the Volume rocker. This was a bit confusing to me as muscle memory indicates that the button should be the one for Power. However, the Power button sits on the left of the screen instead of the right. Apart from that you have the glossy Alcatel Logo and IDOL written on the back along with the camera. Charging comes through a micro USB port at the bottom, and, yes, there is a headphone jack. At only 135g, this is rather light, making it quite a nice and handy phone to have in your pocket or on the move. Part of the phone is an extra customisable button called the Boom button. This is the same as the Convenience key on the BlackBerry DTEK50. It can be customised to let you do anything from taking instant photos to sharing and streaming. Personally, I almost always use such buttons for the camera function. Call me old fashioned, but I kind of miss the ability to do this in modern phones. As usual, Alcatel have gone with almost vanilla Android, with little touches here and there. The icons look a bit different, the placement a bit different, but all in all, you are running Android with minimal changes. This is how we like it, and we prefer it like that. Also, if you have issues with the power key, do not fear, as double tap on the screen will also wake it up. One negative is that the phone comes with only 16GB out of the box, with only about 10 GB available to be used. As far as the hardware goes, you can pitch this against any other mid-range phone and it will definitely sit pretty among them. It isn’t the fastest, and playing heavy games may make it feel sluggish, but overall it is great as a phone that chugs along in your usual day to day tasks. Much like the predecessor, it features a decent camera. It isn’t something that you will be putting up in a gallery any time soon, but images captured are mostly true in colour and lighting. There is also included, a front flash, which makes things a bit more interesting for users. The 4 speakers packaged into this phone have been designed by JBL, and boy do they pack in a punch. Since the speakers are both front and back, you don’t even have to worry about putting your phone the right way up while listening to music. The quality is decent, and you can enjoy your tunes easily. It is also a pretty decent phone to be used as a speakerphone. Also packaged with the phone is the VR. You get a few apps, which give you the same basic experience you get with others. What does set it apart is the Fyuse app. The Fyuse app can best be explained as a form of panorama, where you choose a subject and do a semi circular move around it. As you do it, the phone captures the image in 3D and can reproduce it on video. However, the real joy comes when you can see the same image in 3D via the VR. 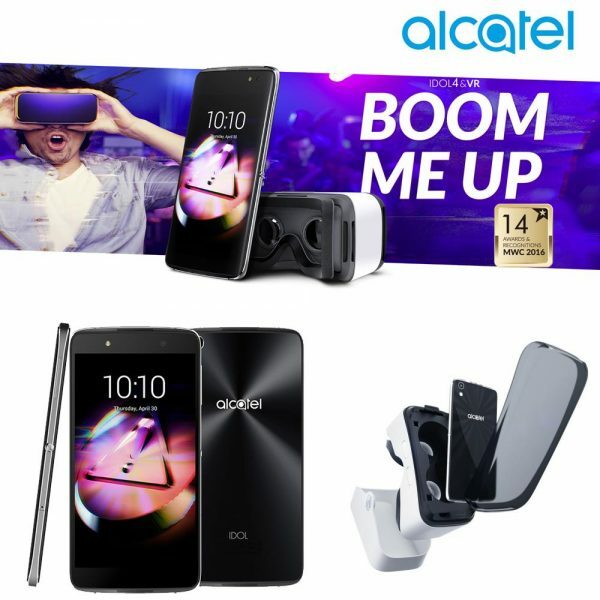 While it isn’t something that will be the main use for your phone, it is good that Alcatel have thrown in something which sets it apart and gives you good use of the VR. 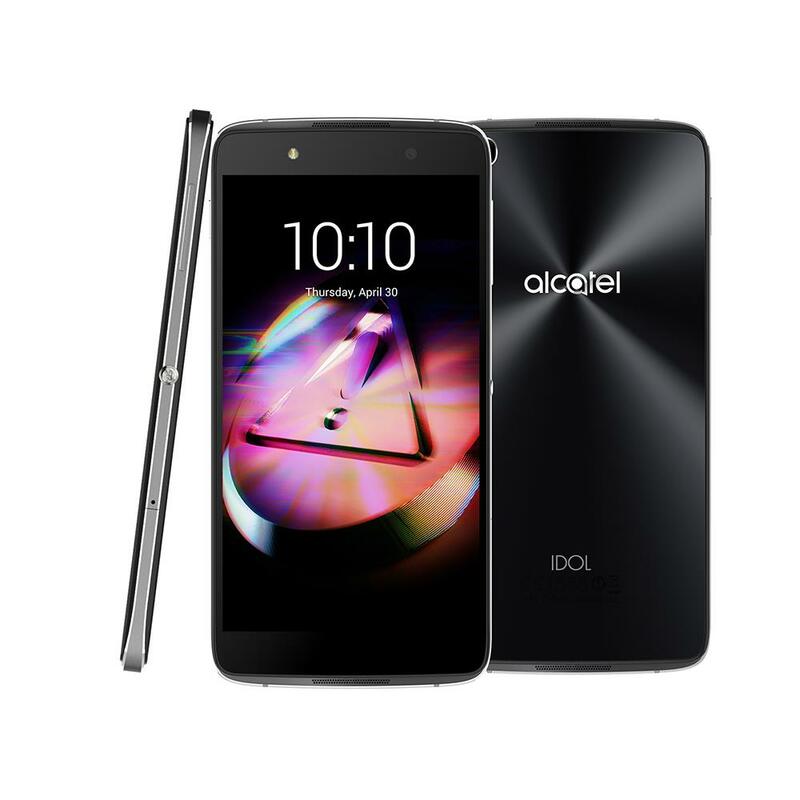 More information on the Alcatel OneTouch Idol 4 can be found on their website. It is available from online retailers such as Amazon, John Lewis and CLOVE. It comes packaged with the VR headset, and retails for around £229. Amazon has a deal on at the time of writing, making this package worth only £192. The Idol 3 impressed us. The Idol 4 does not disappoint. For a phone that costs less than £200, and throws in a free VR headset, this is a pretty decent device.